Stacks is a new desktop feature that groups files on the desktop by type or date, cleaning up the clutter in an instant. With the desktop in focus, choose View and then Use Stacks from the Finder menu—if you then go to choose View and Group Stacks By you can decide how they’re organized. Click on any Stack on your desktop to reveal the files contained therein. 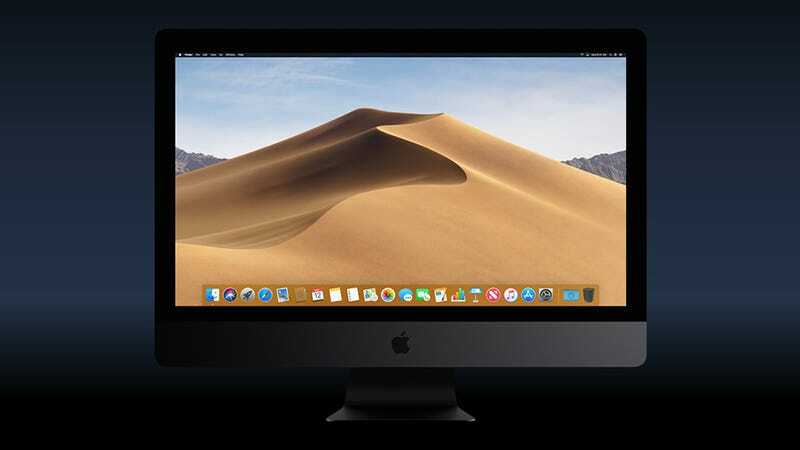 Dark modes are certainly fashionable at the moment, and now macOS has one to call its own with the arrival of Mojave. You can switch it on by clicking General and then Dark in System Preferences—you’ll notice there are some extra accent colors to play around with too, so you can customize the look of the OS just that little bit more than you could before. Following the lead set by iOS, macOS Mojave shows thumbnails of newly taken screenshots in the corner of the screen as you snap them—click this thumbnail to make edits to the image before saving it. If you don’t like this new behavior, hit Shift+Cmd+5 to bring up the screenshot panel, then click Options, then untick the Show Floating Thumbnail entry.